Hello crafters! 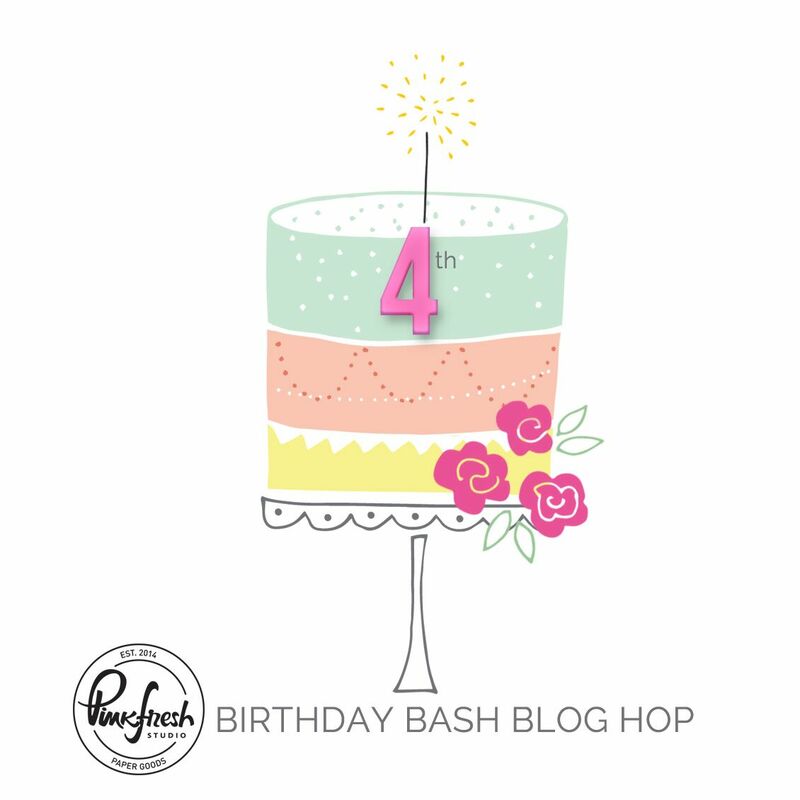 Did you know that Pinkfresh Studio is celebrating their 4th Birthday? 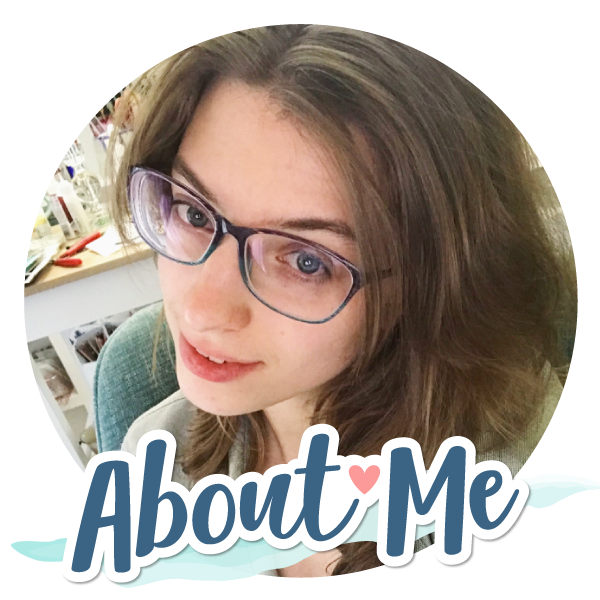 To celebrate this special event, Pinkfresh is hosting a blog hop, of which I am honored to be a guest in. 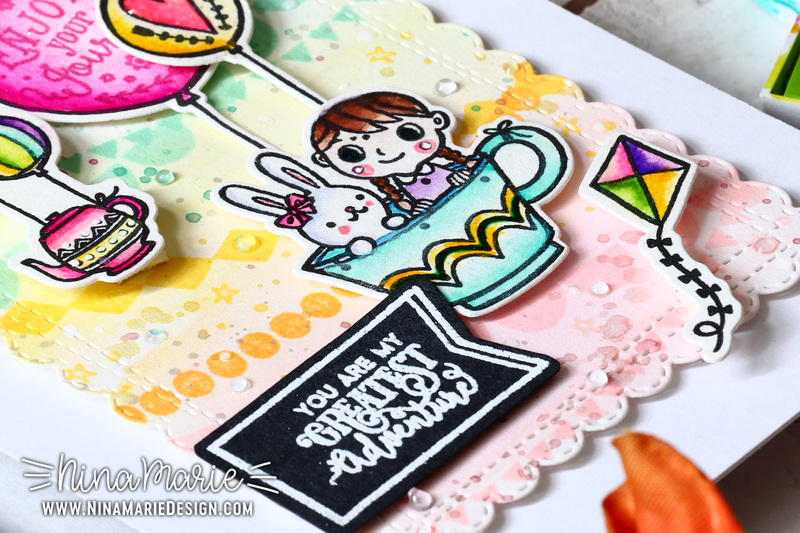 I’ve created a colorful card using their sweet Enjoy the Journey and Basic Banners stamp sets. The images in Enjoy the Journey are simply adorable; I love how cute the bunny and little girl are, riding in their tea cup with balloons. Doesn’t it make you smile? I colored everything with watercolors, including the background. 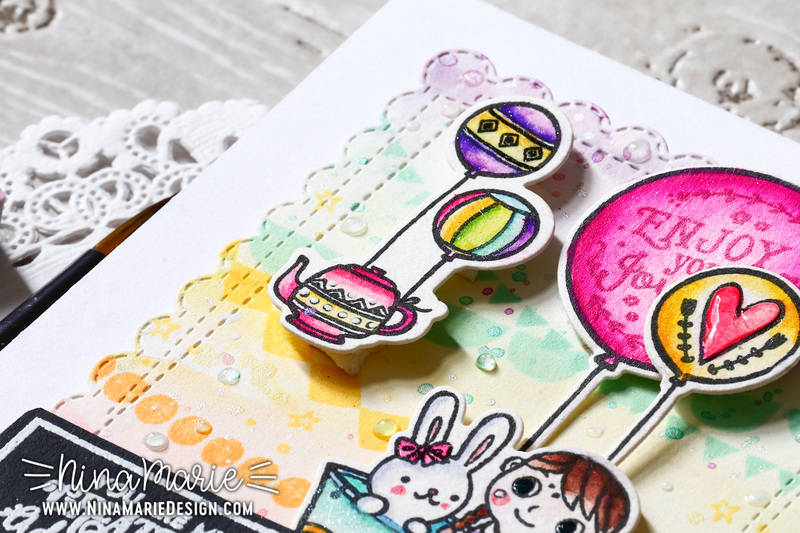 The background is where I stamped the cute Basic Banners in some light shades of Altenew ink (Frosty Pink, Sunkissed, Mango Smoothie, Mountain Mist and Soft Lilac). 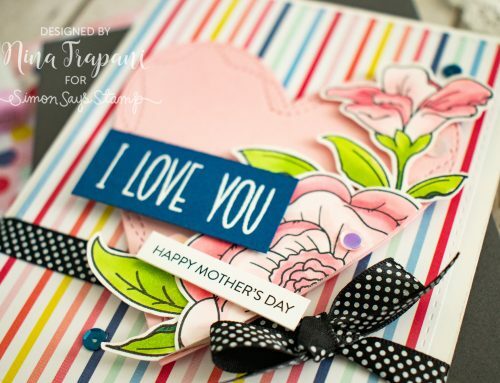 The scalloped edging around the background was created with Memory Box’s Wrapped Scallop Rectangles die set. 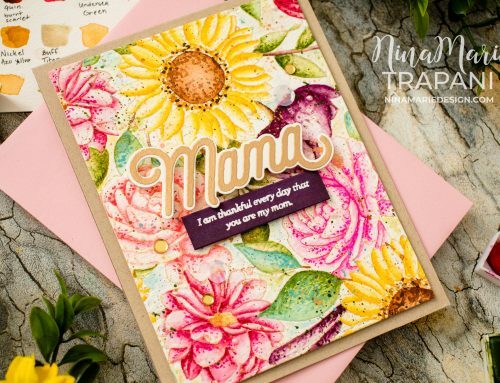 I also included extra embellishing details to the card with Tonic Studios an Aqua Shimmer pen and Morning Dew Nuvo Drops. 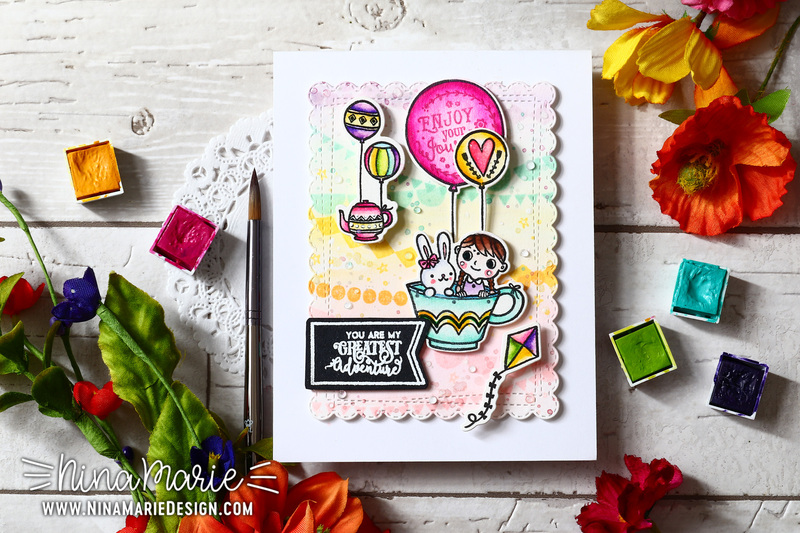 The combination of soft and bright colors in this sweet card really turned out fun and I hope you are inspired by what I’ve created! You can watch how I made this card by pressing the play button on the video at the top of this post. 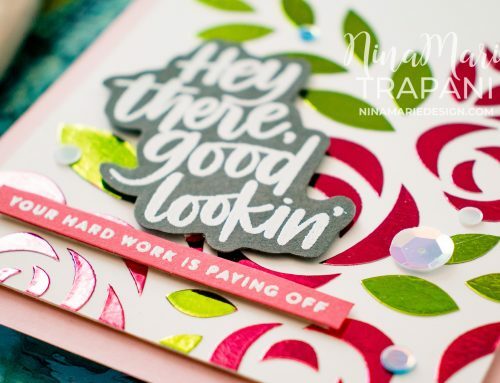 Keep on reading to find out about the giveaways and Pinkfresh Studio Birthday blog hop! Thanks for visiting me today; I’ll be back with more inspiration for you very soon! Would you like to win a $40 gift card to the Pinkfresh Store? Be sure to leave a comment here on this post (and all the other stops of the hop!) by Monday, April 9th at 6am PST to qualify for the giveaway. Winners will be posted on the Pinkfresh Blog on Monday April, 9th at 12:30pm PST. There is are other additional giveaways! On the Pinkfresh Studio blog; a $100 gift certificate to the Pinkfresh store! Leave a comment on their blog for a chance to win this additional giveaway. Winners for all giveaways are chosen at random by Pinkfresh Studio. And an Instagram 24 Hour Stories Giveaway! One lucky winner will receive a $100 Gift Card to the Pinkfresh Store. All you need to do is repost their Pinkfresh Studio Birthday Bash story (found on Pinkfresh’s Instagram page). A winner will be selected within 24 hours after this blog hop starts. 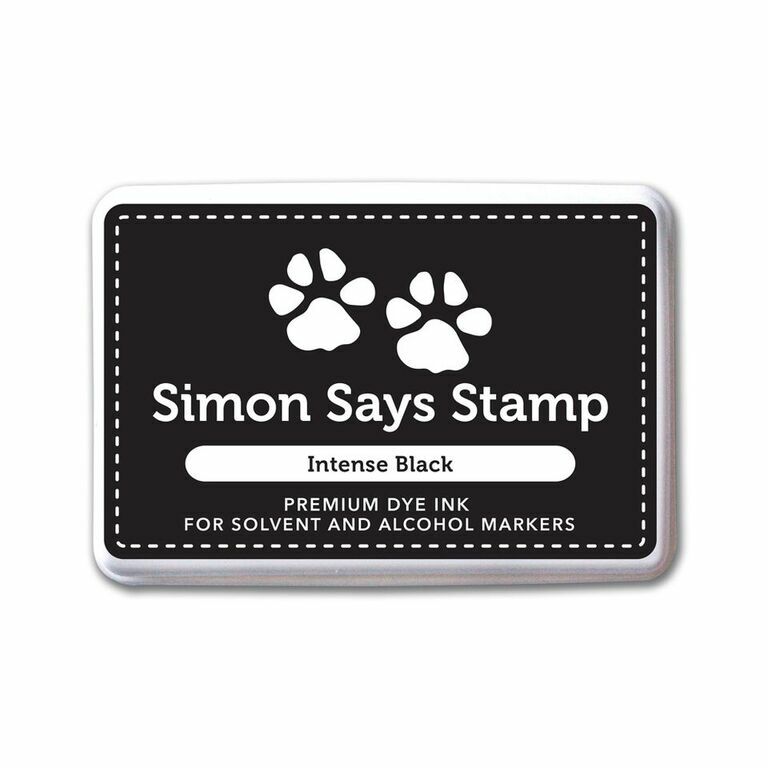 There is also a Stamp and Die bundle giveaway on Pinkfresh’s Instagram feed as well! You better head over there if you want to try to win!! I saw your card first on IG and immediately fell in love with it!! So darling! !